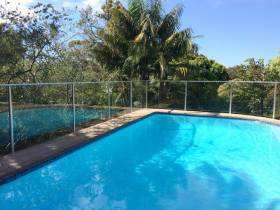 After having been referred to this client by their landscaper, Gateway Fencing was asked to design and construct a new fence around an existing pool in Seaforth that best complimented and enhanced the new landscaping. 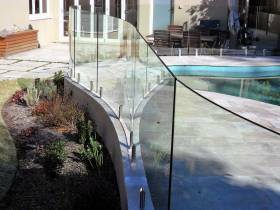 When this client in Elanora Heights was planning the construction of a new pool for their family home, they called on Gateway Fencing to help them design a pool fence that would compliment the striking design of the pool whilst ensuring the line of sight from the entertaining area attached to the rear of the house across to the lovely timber gazebo at the opposite end of the pool remained unobstructed. 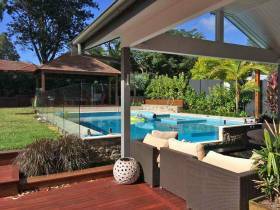 When considering a new pool for the backyard of their family home in Bronte, Gateway Fencing was brought in to consult closely with the client on the best way to maximise the space and view in a relatively small suburban space. 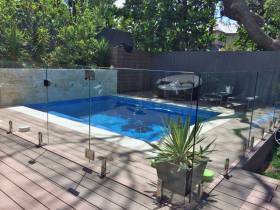 This client in Lane Cove had just installed a lovely new pool and to complete the project, Gateway Fencing was engaged to design and install new glass pool fencing.